If you are looking for a peaceful stroll in the peaceful Montecito, examine Ennisbrook Trail. This 1.85-mile lollipop loop with 150 feet of elevation change explores an oak woodland in the 44-acre San Ysidro Creek Preserve. 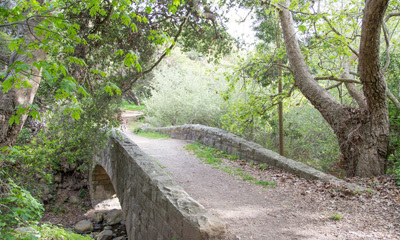 The easy trail is charmed by old stone bridges spanning San Ysidro Creek, which you will follow on this creekside hike.